We are long time fans of the Fancy Nancy books, and absolutely adore the Disney Junior series. My daughters don't even realize that they are learning new vocabulary, word play, and different cultures, besides having some fancy dress-up fun! I will receive a copy of Disney Junior's Fancy Nancy Volume 1 for review. All opinions are mine. This post contains affiliate links. Fancy Nancy Ooh La La! Volume 1 is arriving to Disney DVD November 20th, just in time for holiday gift giving! 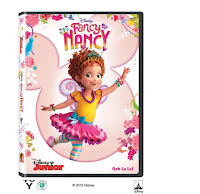 The DVD includes six 22-minute episodes of Disney Junior's hit animated series "Fancy Nancy". songs and… Voilà! Get set to pour on the fun with Fancy Nancy. Rob Riggle as Nancy's dad; Spencer Moss as JoJo; Dana Heath as Bree; Ruby Jay as Rhonda/Wanda; and Ian Chen as Jonathan. Don't forget to visit our 2018 Holiday Gift Guide! This giveaway is not in any way associated with or endorsed by Facebook, Instagram, Pinterest or Twitter. 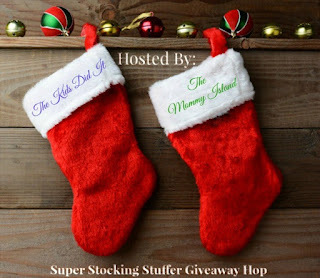 Giveaway Ends 11/27/18 at 11:59 PM EST. US Residents **18 and older** only may enter. One entry per household and IP address. Winner will be drawn using random.org and will have **48 hrs** to respond to email or another winner will be chosen. Entries are verified. No purchase necessary. Void where prohibited by law. The number of eligible entries received determines the odds of winning. The Attic Girl is not responsible/liable for prize delivery. By entering the giveaway, you agree to the Giveaway terms/rules.